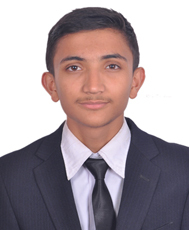 17 years old programmer Prashant is a High School Student. He has developed a website and applications for Imperial Securities Pvt. Ltd. Currently, he is working on a ‘quiz app’ in Cordova framework. Also, he has been working in android app and new programming languages. Apart from this, he has designed logos, visiting cards, banners for several organizations. He wants to inspire other teens in the field of computer science and app development.